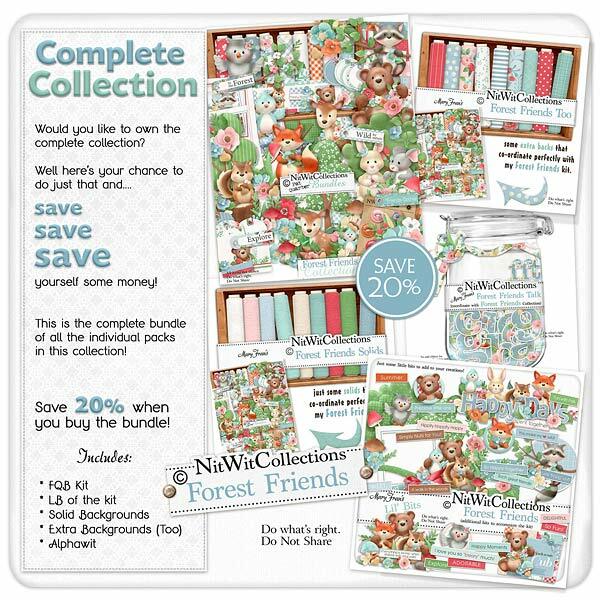 "Forest Friends" Collection is a fun loving outdoors digital kit that will draw you in with our favourite forest animals! Outdoors is certainly the theme, but don't forget about all of the beautiful flowers that can also allow you to create stunning scrapbook layouts, cards and mini albums! The forest animals have captured our hearts and we thought it only fitting to give them a special place in this kit. Their sweet faces and poses will be sure to bring back your own memories. Take a deep breathe of fresh air and create a little on the "Wild" side!